In 1997, a 21-year-old Christian single released a revolutionary book on dating. The book became an international bestseller and catapulted its unsuspecting author, Joshua Harris, into the Christian spotlight. I Kissed Dating Goodbye effectively "turned the Christian singles scene upside down" and continues to shape the consciousness of how Christians view singleness, dating, and the roadmap to marriage. Through the connective platform of social media, Harris has been dealt a battering of online criticism from disenchanted Christians in recent years. Some have lashed out at Harris directly for I Kissed Dating Goodbye, and a few have set up websites dedicated to his victims. Many online have called for Harris to apologize for what they believe was hurtful teaching. Meanwhile, others applaud his work and encourage him to stand his ground Some credit their marriage to principles they say they gleaned from his book, and indicate they plan to teach their children the same. Harris has felt pressure from all sides to do or say something. 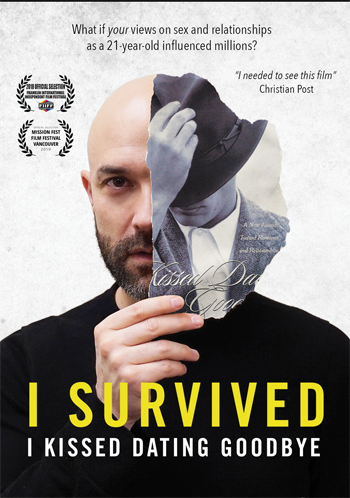 In this documentary, we'll see Joshua Harris ready to re-examine I Kissed Dating Goodbye - and its impact - some 20 years later.